Although Charles Darwin's name is virtually synonymous with the word evolution, he was not the first person to recognize the phenomenon of species change nor did he even use the word "evolution" in the original theory he set forth in On the Origin of Species (1859). In fact, only the very last word of his book was evolve The word evolution was introduced after Darwin published his book and by commentators like English biologist Thomas Henry Huxley (1825–1895) who borrowed the term from embryology . The history of evolution long predates Darwin and his theory. The belief in a changing or dynamic universe can be first seen in ancient Greek philosophy. Heraclitus (c. 500 B . C . E . ), also known as the "flux philosopher," believed that change was a fundamental property of the universe. His successor, Empedocles (c.. 392–432 B.C.E. ), first articulated a crude but dynamic theory that postulated that the origin of life had taken place in a manner that suggested evolution. However, beginning with the philosophical worldview established by Aristotle (384–322 B.C.E. ), the belief in a changing universe fell into disfavor. Aristotle and his numerous medieval and Renaissance translators, commentators, and supporters, instead believed in a static universe which held that living organisms were created initially and then remained essentially unchanged. These ideal types or species were arranged hierarchically in what came to be known as the "scala naturae," or the ladder of creation. Like rungs on a ladder, each species took its place with lower forms of life on the bottom and higher forms of life on the top. Georges Léopold Cuvier opposed evolutionary theories, even though he was the first to recognize the phenomenon of extinction. During the Renaissance, the ladder of creation gave way to the popular metaphor of the "great chain of being," which referred to a progression of living forms linked in an orderly chainlike arrangement. Extinction, the sudden disappearance of a species, in such a scheme, was unthinkable since it meant that the chain would lose a vital link. Belief in the fixity of species, therefore dominated biological thought and was most clearly demonstrated in the modern classification scheme that originated with Carolus Linnaeus (1707–1778). Belief in species change, or transmutationism, slowly began to emerge during the Enlightenment . This period saw the emergence of the belief in a progressive world, both scientific and social. It also saw the beginnings of the new science of geology. Geological theories suggested that fossils were of organic (once-living) origin and that uniform or constant processes rather than catastrophic or one-time events had shaped Earth's history. The French naturalist Comte de Buffon (Count Buffon, 1707–1788) was one of the first to question the fixity of species and to suggest a transmutationist theory with a startling resemblance to Darwinian evolution. Although he was a respected naturalist, his theoretical explanations for the origin of life and of species change were not accepted during his time. 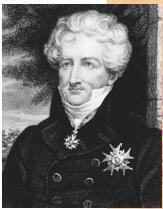 Buffon's transmutationist ideas were also not accepted because they opposed the philosophical teachings of his French colleague Georges Cuvier, the great comparative anatomist and the father of modern paleontology. Cuvier upheld the fixity of species despite fossil evidence of species change. Ironically, though he opposed transmutationism strongly, Cuvier was the first to recognize the phenomenon of extinction, or the view that species had disappeared from the biological record. The first to suggest a viable theory of species change was Frenchman Jean-Baptiste Lamarck. Lamarck was interested in adaptation, or the manner and process by which organisms are able to adapt physiologically and morphologically to their environment. He was especially interested in how well-adapted organs like the neck of the giraffe had originated. According to Lamarck, the use or, in many cases, disuse of such a vital organ could lead to the development of novel but well-adapted traits. The cumulative effect of these adaptations could eventually lead to a new species. Lamarck never provided a cogent mechanism by which this physical transformation took place, however, though he did draw on contemporary theories from animal physiology to suggest that the body heat generated by physical exercise could lead to structural transformation. Sometimes called "the inheritance of acquired characters," Lamarckian transmutationism, also later called Lamarckian evolution, was subsequently shown to be erroneous because changes acquired as a result of use and disuse were shown to be not heritable. Lamarck's ideas were, however, very popular throughout much of the nineteenth century and well into the twentieth century. Darwin himself relied heavily on the inheritance of acquired characters to explain many adaptations that he later outlined in laying out his own transmutationist theory. Transmutationism itself became increasingly acceptable by the early nineteenth century. It captured the interest of Darwin's own grandfather, Erasmus Darwin (1731–1802), who suggested that life had originated from "one living filament." Other transmutationists included French anatomist Isidore Geoffroy Sainte Hilaire (1805–1861), who studied birth defects. He suggested that through such "monstrous births" new species might suddenly arise. In 1844 the work of one transmutationist in particular drew the attention of a wide audience. Writing anonymously at first, Robert Chambers (1802–1871) outlined a transmutationist theory under the title Vestiges of the Natural History of Creation. The book drew such heavy criticism that it dissuaded Charles Darwin from setting forth his own controversial transmutationist views for nearly fifteen years. Charles Darwin was the leading transmutationist of the nineteenth century. Darwin had developed the major features of his theory as early as 1837 after returning from his five year voyage of the HMS Beagle and after reading the famous Essay on the Principle of Population by Thomas Malthus (1766–1834). However, Darwin did not make his work public until much later. He felt that he needed to collect solid evidence to his support what he knew would be a contentious theory. He was finally forced into joint publication of an abbreviated version of his theory in 1858, shortly after English naturalist Alfred Russel Wallace (1823–1913) independently formulated his own nearly identical theory. It took Darwin less than a year to outline in book form his theory of species change that he called "descent with modification" by means of the mechanism of natural selection. The full title of his famous book was On the Origin of Species or the Preservation of Favored Races in the Struggle for Life. The book appeared in bookstores on November 24, 1859, and sold out on the first day. It went through six editions as Darwin modified his theory in response to his many critics. It is generally thought that the first edition is a more accurate account of the workings of evolution because subsequent editions included a watered-down version of his original theory. Darwin thought "descent with modification" took place primarily through the mechanism he termed natural selection. Natural selection occurs when an organism with a favorable variation in some trait reproduces more as a result, thereby increasing the frequency of the variation in the next generation. In addition to this mechanism for driving species change, Darwin included some four of five other mechanisms that he thought could account for species change including the inheritance of acquired characters. Though he did not address human evolution in this book, Darwin's readers quickly made the connection between humans and other primates. Darwin eventually turned to the human evolution in 1871 when he wrote The Descent of Man. In this book, Darwin corrected earlier misconceptions of his work and made it clear that humans had not evolved from modern-day monkeys, but that both had shared a common ancestor. Darwin's theory did face notable criticism in his day. One problem had to do with the absence of any viable mechanism of inheritance in Darwin's work. This led to the criticism that novel characters would be diluted out in subsequent generations. This problem was not solved until the particulate nature of heredity was elucidated during the "rediscovery of Mendel" in 1900. Another problem was the age of the earth, which was then thought to be only about 400 million years old. This was an insufficient amount of time to account for the slow, gradual process that Darwin envisioned. This problem was solved after the discovery of radioactivity in the late nineteenth century which showed the age of the earth to be nearly 5 billion years, an estimate of time long enough to account for evolution. Yet another difficulty was that Darwin had no direct proof for a process that took place over such a long stretch of time. This proof of evolution by means of natural selection was finally provided beginning in the1920s, with the example of industrial melanism in the peppered moth, Biston betularia. More difficult to resolve were the theological and philosophical questions that followed from the mechanism of natural selection. Even though Darwin had only one line in his 1859 book on human evolution, the theory implied that humans were subject to the same mechanistic process as plants and animals. Because natural selection provides a means to develop highly complex structures without divine intervention, it challenged one argument for God's existence (namely that complex designs require a complex creator). Despite a storm of controversy over the mechanism, the fact of evolution was rapidly accepted by scientists. Only after the mechanism of heredity was understood and only after the science of genetics was integrated with natural history was the debate over the mechanism of natural selection extinguished. This took place between 1920 and 1950 and was part of the event called the "evolutionary synthesis." The evolutionary synthesis drew on the work of genetics, systematics, botany, paleontology, cytology , and morphology to create what contemporary scientists call the "synthetic theory of evolution" or the "Neo-Darwinian theory of evolution." The evolutionary synthesis drew on the work of twentieth-century biologists like Theodosius Dobzhansky (1900–1975), Ernst Mayr (b. 1904), Julian Huxley (1887–1975), George Ledyard Stebbins (1906–2001), and George Gaylord Simpson (1902–1984). It endorses the view that natural selection is the dominant mechanism that drives evolutionary change. In 1975, Dobzhansky stated the important fact that "nothing in biology makes sense except in the light of evolution." In stating this, he was stressing the fact that evolution by means of natural selection serves as the central, unifying principle of the modern science of biology. Bowler, Peter. Evolution: The History of an Idea. Berkeley, CA: University of California Press, 1989. Dobzhansky, Theodosius. "Nothing in Biology Makes Sense Except in the Light of Evolution." American Biology Teacher 35 (1973): 125–129. Greene, John C. The Death of Adam: Evolution and Its Impact on Western Thought. Ames, IA: Iowa State University Press, 1959. Mayr, Ernst. The Growth of Biological Thought. Cambridge: Cambridge University Press, 1980. Ruse Michael. The Darwinian Revolution. Chicago: University of Chicago Press, 1979.